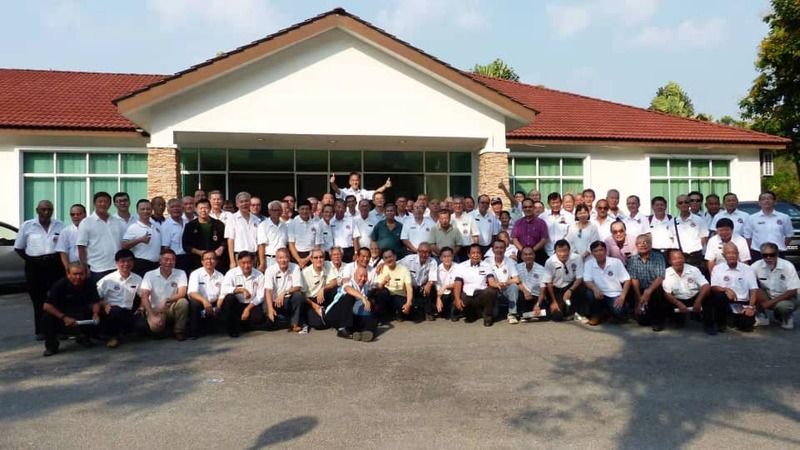 MACVA Northern Chapter successfully held its Inaugural Annual Meeting at Safira Country Club, Seberang Jaya, Penang on 17 Mar 2019. The meeting held from 3.15 pm to 5.15 pm noon were attended by 109 MACVs from the Northern region. The meeting elected the Committee Members for the term 2019 to 2020. MACVs from RMAF, RMN and Army were nominated/ volunteered for the posts showing great camaderie and comradeship. MACVA certificates were also distributed to attending MACVs who have not received them. The strong attendance bold well for an active Commitee that will serve the Northern region. Well done MACVA Northern Chapter. Northern Chapter MACVs at Restaurant Sin Pao Siang, Sg Petani. 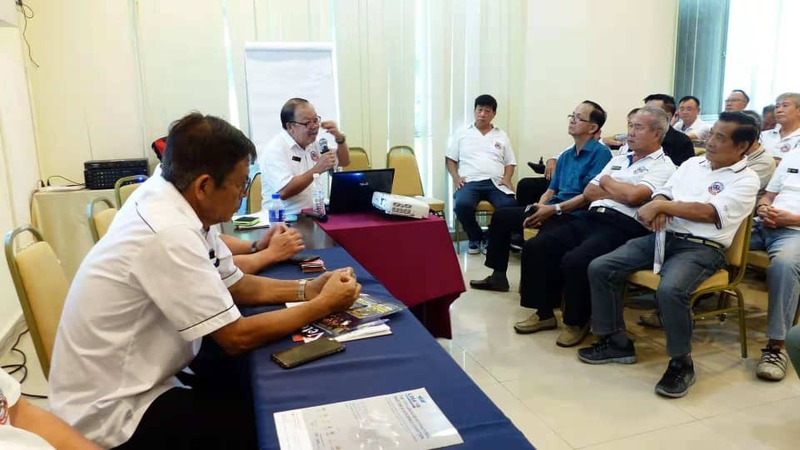 28 MACVs from Northern Chapter attended a lunch gathering on 20 Jan 19 at Restaurant Sin Pao Siang, Jalan Melati 1, Bandar Amanjaya in Sg Petani. 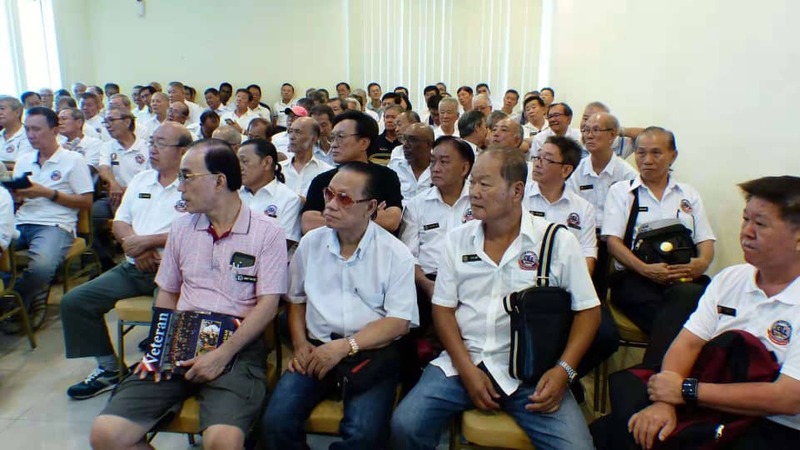 Besides getting together for fellowship with comrades in Sg Petani, 25 MACVs received their Membership Certificates from NC Chairman Tei Poey Eong and NC Secretary Lim Thian Huat at the event. Kudos to Northern Chapter for organising the event to enhance the comradeship and camaraderie among Northern MACVs and Tei Poey Eong for hosting the luncheon. Tei Poey Eong presenting MACVA Membership Certificate. Lim Thian Huat presenting MACVA Membership Certificate. Raymond Goh receiving award from Datuk Mohaiyani Shamsudin. Patrick Wong, Shariffuddin Khalid, Raymond Goh, Chin Oi Cheng and Adenan Aini. Maybank hosted a Dinner Reception for its 2018 MyStories Unsung Heroes on Friday, 30 November 2018. The event was held at Level 51 of Menara Maybank at Jalan Tun Perak, Pudu, Kuala Lumpur. Among the unsung heroes invited for the reception were MACVs Lt Col Ir Raymond Goh Boon Pah (Rtd) and Maj Patrick Wong Sing Nang (Rtd). Sgt Adenan bin Aini (Rtd) who had served with Maj Patrick Wong in 8th Ranger Battalion was also present. MACVA would like to congratulate all three of them for being chosen as 2018 MyStories Unsung Heroes. In telling their stories, the sacrifices they have made and the barriers they have broken for the love of their country and fellow man, Maybank hopes to encourage Malaysians to step out of their comfort zones and be spurred into action. On the award plaque was befittingly written "Those who serve, guide and inspire the people". At 76 years old, Lt Col Ir Raymond Goh efforts in volunteer works is exemplary. Maj Patrick Wong puts his men before himself to ensure their safety with the belief that race and religion play no part in combat. He embodies the spirit of teamwork and integrity while fighting for the Country with his men. Sgt Adenan, a proud Sarawakian who fought bravely alongside Maj Patrick Wong was one of the first from his hometown to serve in the Army. Badly injured during a mission, Maj Patrick Wong made an unprecedented decision to prioritise medical attention to him, saving his life. Sgt Adenan believes that regardless of race, religion and culture, members of the Army are ultimately part of one unit that support each other in the fight for their Country. Present at the reception were Datuk Abdul Farid Alias, Group President and CEO; Shariffuddin Khalid, Independence Non-Executive Director and Dato' John Chong Eng Chuan, Group CEO Community Financial Services. Datuk Mohaiyani Shamsudin, Maybank Chairman presented the award to the recipients. MACVA would like to express its sincere gratitude to Maybank for its efforts in honouring Malaysian Veterans. Patrick Wong and Raymond Goh. Raymond Goh and Adenan Aini. Raymond Goh and wife Chin Oi Cheng. Dato' John Chong and Raymond Goh. 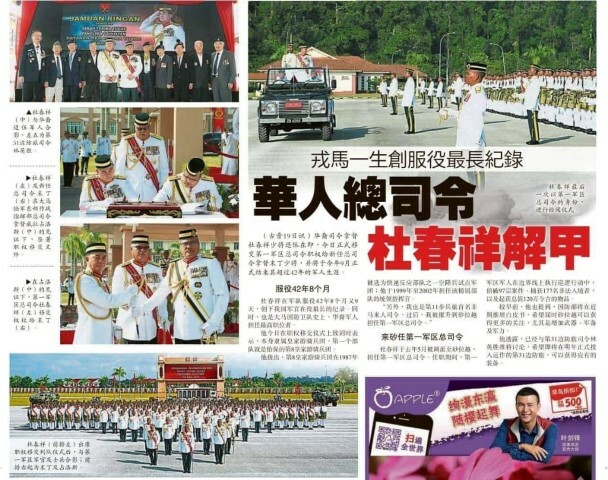 Defence Minister YB Tuan Haji Mohamad Sabu at Kem Muara Tuang, Kota Samarahan. Defence Minister YB Tuan Haji Mohamad Sabu made a working visit to Kem Muara Tuang, Kota Samarahan on 3 Dec 18. Representatives from Veterans Organisation were cordially invited by Pengarah JHEV ATM Sarawak Lt Col Dunging Serit to attend the visit. Representing MACVA from Sarawak Chapter were John Lai Kim Chee, David Fu PGB and Tan Meng Seng. Also present were Eastern Field Commander Lt Gen Datuk Wira Zamrose Mohd Zain and 1st Division Infantry Commander Maj Gen Dato' Toh Choon Siang. Kudos to Sarawak Chapter for attending the event. MACVA would like to express its sincere gratitude to Pengarah JHEV ATM Sarawak for inviting MACVs and Malaysian Veterans to the visit. 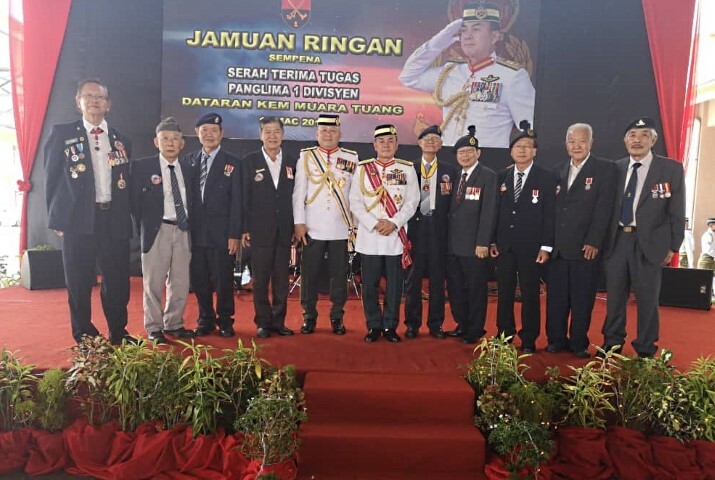 YB Tuan Haji Mohamad Sabu with Eastern Field Commander Lt Gen Datuk Wira Zamrose Mohd Zain and 1st Division Infantry Commander Maj Gen Dato' Toh Choon Siang on his right. John Lai getting the attention of YB Tuan Haji Mohamad Sabu. Wong Ah Jit with JHEV CIO Haji Abd Karim bin Haji Husain . Phua Hean Sim with Veterans delegates. MACVA participated in a Veterans Organisation Dialogue with Department of Veterans Affairs (JHEV) Director General, Maj Gen Dato' Dzulkarnain bin Ahmad at Hotel Vivatel, Kuala Lumpur on 27 Nov 18. Representing MACVA at the dialogue session were VP RMN Phua Hean Sim and Hon Secretary Wong Ah Jit. A total of 71 delegates from various Veterans Organisation under JHEV attended the dialogue which gathered problems faced by Veterans Organisation in administering their organisations and their members; and suggestions to enhance the current efforts by JHEV in administering and assisting Veterans. JHEV briefed all delegates on their way forward to look after the welfare of Veterans and their effort in forming a strategic network with Veterans Organisation.